The content on this page was commissioned by our sponsor, Tata Consultancy Services. The MIT SMR editorial staff was not involved in the selection, writing, or editing of the content on this page. Retailers have won gains in marketing and online sales by implementing new technologies. The following perspectives from industry and academia explore how retailers might drive increased profitability by applying AI and machine learning across the business. Retailers have made significant investments in IT that have steadily improved business processes for a number of years — while also yielding a tremendous amount of data that has fueled business intelligence and analytics. Now, technologies such as AI, machine learning, and the internet of things have become mainstream and computing power has increased exponentially while dropping in cost. The confluence of both trends is creating opportunities for retailers to obtain dramatically greater benefits from their growing data assets. 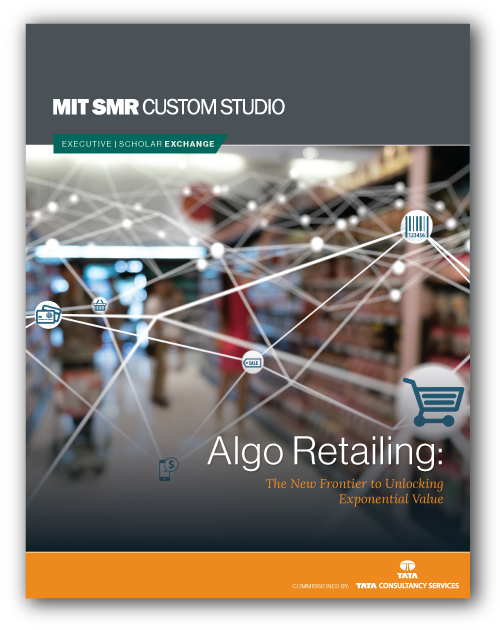 Algo Retailing is a paradigm shift in how retailers do business. It is about seamlessly integrating and orchestrating data across the retail value chain to unlock exponential value. The most obvious and frequently discussed examples of Algo Retailing are in areas such as personalization, marketing, and online search and commerce. However, there are much bigger gains in applying the technology to areas like supply chain, logistics, supplier management, buying, merchandising, and store operations. For example, retailers can use AI techniques with larger data sources, like demographic or weather data, to decide on their store-level assortment and drive deep localization at scale. Chatbots can automate vendor negotiations by processing a complex web of information to determine the right price for buying. The supply chain, currently characterized by localized, siloed optimizations based on operational capacities, may be the area in which Algo Retailing delivers the most significant benefits. It transforms the supply chain through multidimensional, concurrent modeling and optimization in near real time across stores, distribution centers, transportation, and channels. This greatly improves availability and customer experience while reducing waste and cost to serve. Before retailers can consistently realize the full benefits of applying AI and machine learning to data, it’s imperative that retailers have a strong, consolidated data foundation in place. This will enable them to analyze, sense, and act on large volumes of heterogeneous data like voice, text, and images. Pricing optimization is another area where algorithmic techniques pay off. One particular retailer was suffering deep losses by setting prices to match or undercut an e-commerce giant’s prices. In efforts to change that, it adopted a new set of machine learning algorithms to craft a pricing strategy that factored in hundreds of indicators from internal and external data sources, such as online transactions, page views of a particular item, in-store sales, social media, customer data, and more. The retailer found that it didn’t have to reduce prices to compete; it actually increased prices and realized a sales uplift of 80 to 120 basis points in total store sales and an increase of 10% to 20% in average sales per transaction. By using new techniques against new data sources, it unlocked new value. As retailers attend to data fundamentals and adoption challenges, they are also deciding how they will advance their use of algorithmic retailing technology and what capabilities they want to roll out. That requires making decisions about where to automate processes entirely and where human-machine interaction will produce the best results. The first step for many may be automation of basic business processes that don’t require intelligence, such as entering data for an invoice. Most retailers are at that stage of the journey today. And given the many opportunities to automate basic processes in finance, human resources, and merchandising, this may be the dominant phase for the next two to three years. Meanwhile, some retailers are moving in parallel to the next layer, adding intelligence to decision-making processes such as pricing. However, it’s important to note that in using algorithms to make such a process intelligent, one must retain a strong human element — finding the right interplay of art and science. For example, in the pricing process, the pricing strategy will always be decided by humans. They will decide whether they want to match prices to a competitor or set prices higher or lower. Then they will use algorithms — science — to determine the best possible price that will allow them to execute that strategy competitively. AI’s promise of full autonomy remains in the future. For businesses engaging with these technologies in the near term, the vast majority of processes will involve this interplay of art and science, because that’s where the highest returns will be. When human and machine intelligence work together closely, algorithmic retailing will drive innovation and unlock new value. Great data and powerful machine learning tools will yield value only when business users accept and adopt the results. Domain experts in the business may be skeptical of the value, so education and change management are critical to realizing the benefits of algorithmic retailing. Adoption of algorithmic retailing requires a willingness to take new risks and experiment, explore opportunities, and evangelize the benefits. To drive adoption, it is imperative to first understand the questions being asked by CXOs and the problems that need to be solved. For instance, the top priorities for the chief supply chain officer might be to improve inventory visibility, streamline product flow, and speed delivery lead time, while the head of store operations might want to improve store labor efficiency and reduce shrinkage. Understanding these key questions can inform the creation of a library of use cases that reimagines processes through automation and intelligence. Another critical success factor for algorithmic retailing implementation is to prioritize use cases and undertake a few proofs of concept in an iterative manner. Throughout this process, the decision science team should work closely with the business, explaining each step and how the model is being tuned. This collaboration with business users to prove the technology and overcome skepticism about AI and machine learning is a critical element of change management. As powerful emerging technologies converge with the wealth of data produced by digital business, conditions are ripe for retailers to approach the next frontier. With a roadmap that includes enterprisewide data management, identification of high-potential use cases, and attention to encouraging adoption within the business, retailers will be prepared to unlock dramatic increases in value via the Algo Retailing journey. The retail customer’s journey through the buying process has grown much more complex than it used to be, involving navigation through multiple channels both online and offline. From first realizing a want or need to completing a purchase, the buyer may browse in one place, order in another, and pick up at a third. As retailers aim to delight the customer throughout that experience, algorithmic retailing (AR) technology can be a huge asset. It can help them take advantage of the great volume of data available to make decisions that result in a superlative customer experience. However, to achieve success with this facilitating technology, it must be appropriately implemented. Keep humans in the picture. AR can support better decision-making to improve the customer experience, and it can also automate routine tasks where humans offer little added value. That provides an opportunity to identify, and invest in, human roles that can make the buying journey a delightful one. Remember that competitors can imitate a technology approach more quickly than they can mimic the human touchpoints that spring from investments in people and culture. Deliver a better brick-and-mortar experience. Every channel plays a role in addressing different needs and different types of customers. Why are some choosing to visit a store? Human beings are social animals, and they may want personal interaction and answers to questions. They may want to see and touch items, and they may want immediate gratification rather than waiting for delivery, even in this era of same-day shipping. Retailers can use AR to address these needs, for example, to make forecasting and operational decisions that increase the likelihood that customers will find the right products in stock. Automating low-level tasks in the store frees people for the more valuable work of serving customers, answering their questions, and solving their problems. If you are cutting costs by cutting the human interface, you are eliminating a reason for customers to come to you. Build a functionally integrated organization. Given the complexity of the customer buying process today, the multiple channels customers go through, and the divergent paths they may take to purchase, consumers often touch many different parts of the organization along the way. If a retailer’s business is siloed, with each function looking at things from its own perspective, it will not reach the best decisions possible across the journey, regardless of the technology tools at its disposal. Moving from a siloed to an integrated structure requires real commitment to change management, to shifting organizational culture from a silo mindset to a holistic, cross-functional mindset. One cannot use legacy processes with innovations; you need to evolve your organizational processes to gain full advantage from AR. Prioritize data security and privacy. AR is a powerful tool for developing customer relationships by using data to improve behavioral segmentation and targeting. As retailers use customer data, they must pay close attention to keeping that information secure and observing good privacy practices. Good coordination between chief marketing officers and chief information officers is helpful in achieving the right balance. Remember that it takes years to build trust, but it takes just a moment to break it. We need to be very cognizant of that. AR technology is a powerful set of tools, but like any technology, ultimately it will deliver benefits only if successfully implemented. When users throughout an organization understand how AR can help them do their jobs more efficiently and effectively and in turn deliver greater value to the business, they are more likely to adopt it and use it in their decision-making. Just as the human facet is important in customer-facing relationships, it is important to technology implementation internally. As retailers invest in these tools, they must also make good use of the human interface to communicate the value of adoption and manage cultural and organizational changes. 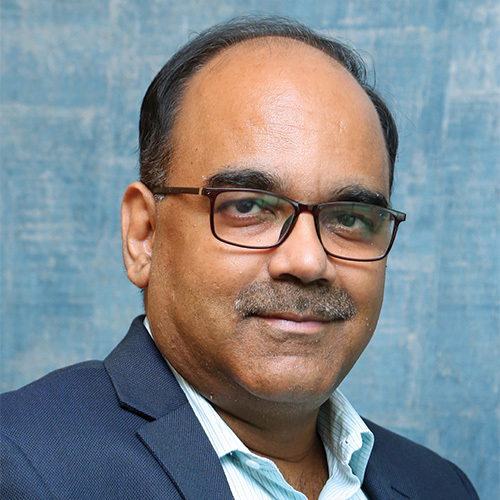 Pratik Pal is President and Global Head of Retail, Consumer Goods, Travel, Transportation, and Hospitality at Tata Consultancy Services. 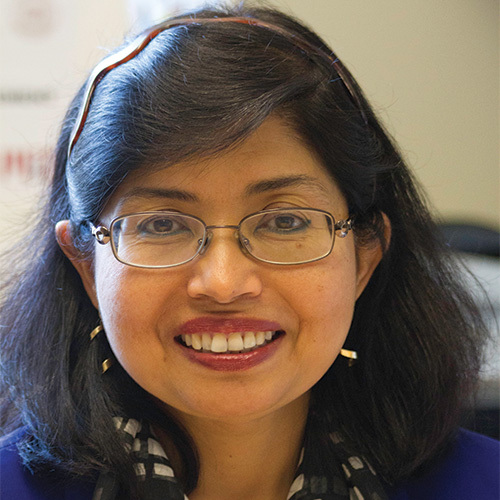 Sharmila C. Chatterjee is a senior lecturer in marketing and the academic head for the enterprise management track at the MIT Sloan School of Management.